Glenglassaugh Octaves Peated Batch 2 is a vatting of Bourbon, Port and oloroso Sherry octaves, showing ‘salted caramel and yellow plum sweetness … with savoury smoke and maple syrup’. Both whiskies are bottled at 44%, naturally coloured and without chill filtration. Classic is priced at £60 for a 70cl bottle, and Peated at £65. 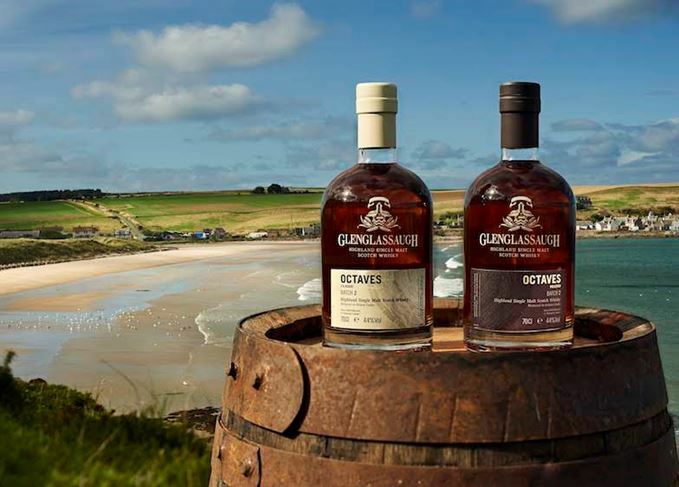 Situated on the Aberdeenshire coast near Portsoy, Glenglassaugh distillery was silent for 22 years until 2008 and is now owned, along with BenRiach and GlenDronach, by US spirits company Brown-Forman. The Speyside distillery’s new rare cask range includes a 50-year-old malt priced at £4,500. The series of cask-finished whiskies marks a ‘new chapter’ for the Highland single malt.